I'm not saying this is a recipe. It's merely an idea. But it is a yummy, easy and sweet idea. I did contemplate going all food blogger and make this using home-made sourdough fruit loaf and sugar-free chia and strawberry jam. And while yes, this would make it healthier, I just couldn't be bothered. And beside, the whole point of a toastie is that it is quick and easy, yeah?? I've made this on and off for years and recently I made one for MJ for the first time. He approved. Fruit loaf has a lower water content than regular bread and so it cooks more quickly. Add this to the high sugar content in the fruit and it means if you walk away from this sandwich for too long your plump and sweet fruit turns dark and shrivelled quite quickly. Spread two pieces of raisin bread with butter. Turn one piece over and spread with jam. 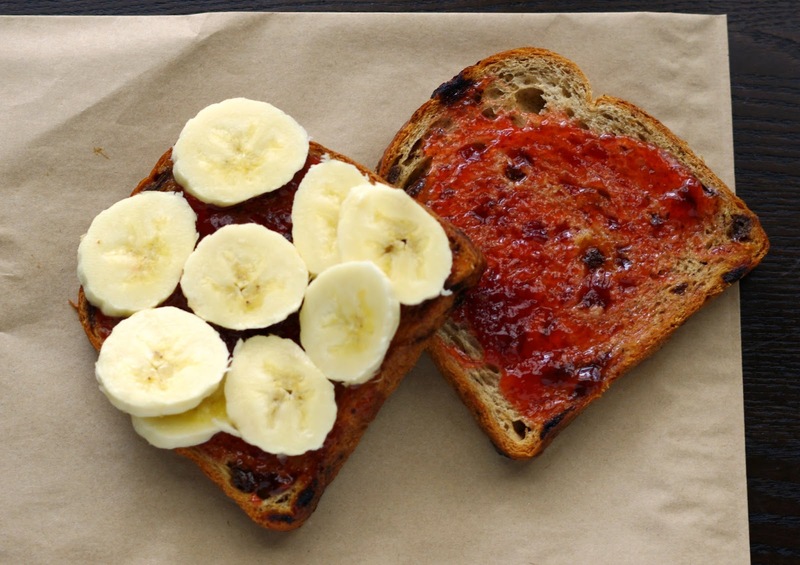 Slice banana and lay slices on top of jam to cover entire piece of bread. Add the second piece of bread on top. Cook in sandwich press or frypan until golden brown. Do you do sweet toasties? 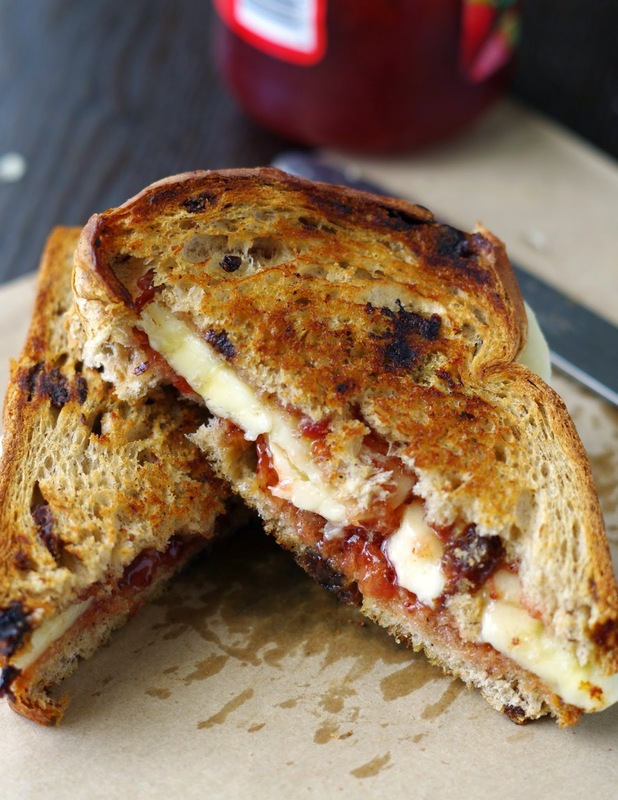 Or is a toasted sandwich all about the gooey. melted cheese for you? Yum!!!! 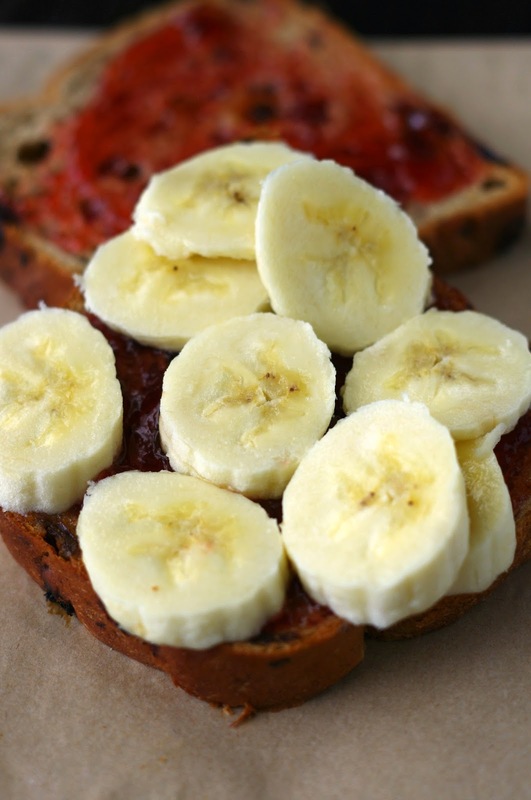 I love peanut butter and banana but I'm totally going to try this! 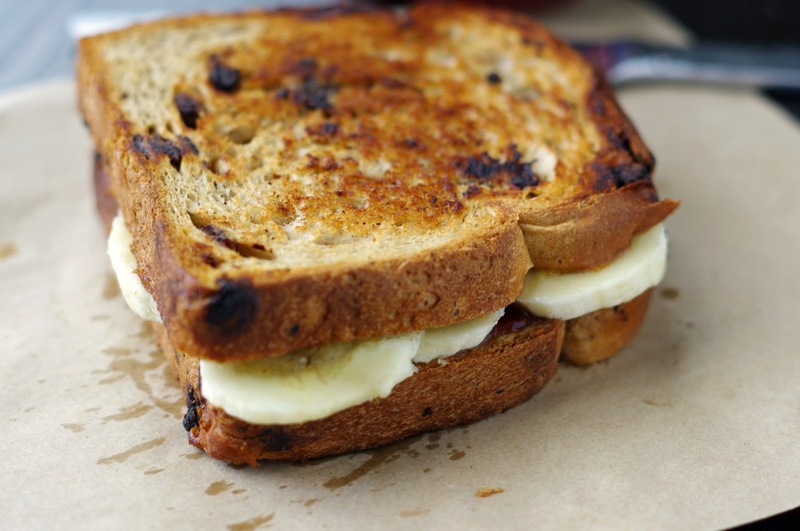 I've never tried a sweet toastie before - loving these ideas! I'm also totally with you, a toastie is meant to be easy! So glad you linked this yummy up! Thanks for joining our Fabulous Foodie Fridays party!